The Dice Careers App has it all. Don't just look for a job - manage your career. Download the app free. Want a link to download? We'll send you one. Wondering what's next in your career? Learn about new roles based on your job title and skills. We'll even show you which skills you'll need to make the move. Discover your Career Path. 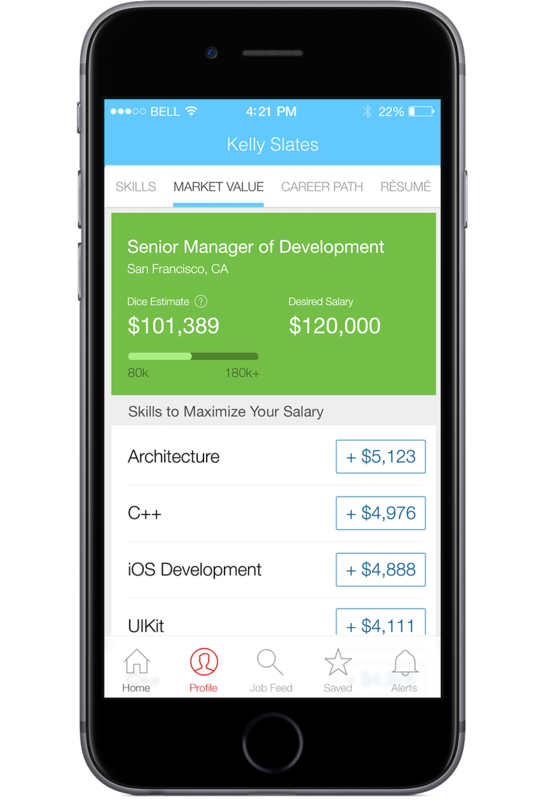 Get salary estimates based on skill and location. Find skills to increase your earning potential. 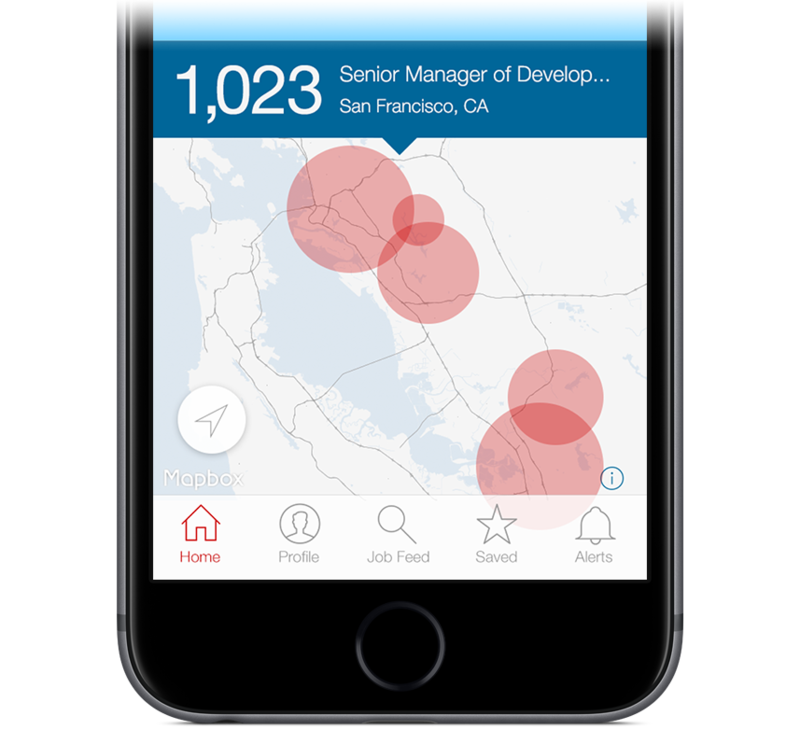 Apply to jobs in a few taps. Browse thousands of tech jobs. Apply in minutes. It's seriously that fast. 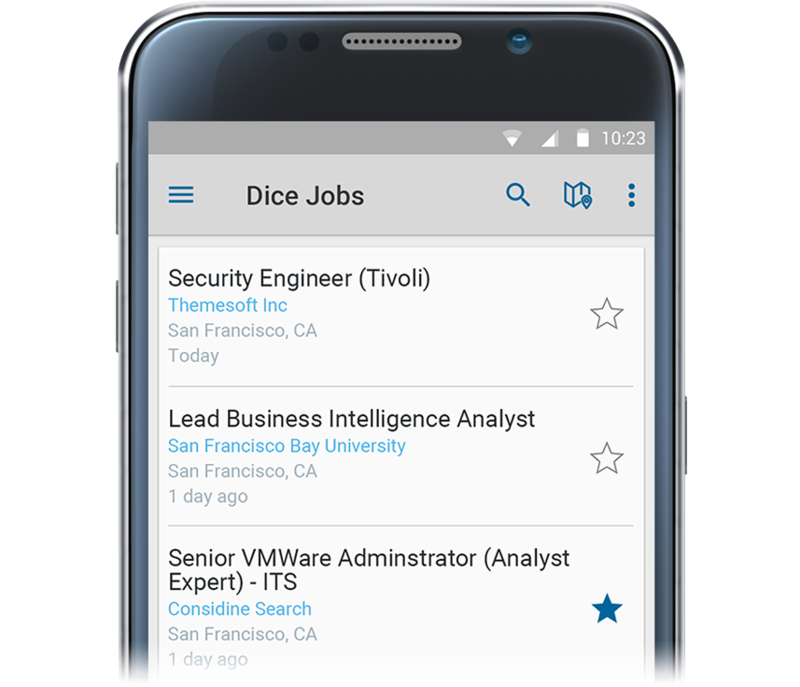 Upload résumés on the go. Upload your resume with Dropbox or Google Drive. Couldn’t be easier. Discover opportunities at your fingertips. Map out your next opportunity.